Fredonia, Arizona is central to southern Utah and northern Arizona's most popular state and national parks, including Zion National Park, Bryce Canyon National Park, Lake Powell, Coral Pink Sand Dunes State Park, the Grand Staircase-Escalante National Monument and the Grand Canyon North Rim. 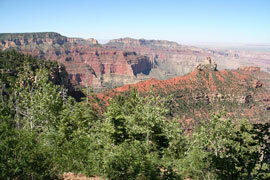 Fredonia is located in Coconino County, Arizona, along with the Arizona towns of Flagstaff, Page, Sedona and Williams. The 2000 census reported a population of 1,036 living in 359 households. Fredonia's elevation is 4,680 feet.